A set of economic policies put forward by US President Ronald Reagan during his presidency in the 1980s. Reaganomics are economic policies put forward by US President Ronald Reagan during his presidency in the 1980s. The policies were introduced to fight a long period of slow economic growth, high unemploymentStructural UnemploymentStructural unemployment is a type of unemployment caused by the discrepancy between the skills possessed by the unemployed population and the jobs available, and high inflation that occurred under President Gerald Ford. 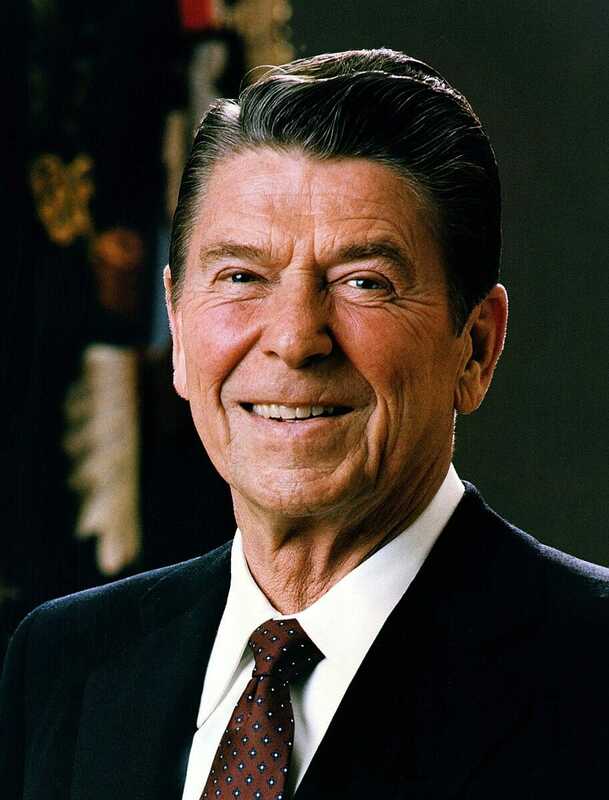 Reaganomics was built upon four key concepts: (1) reduced government spending, (2) reduced taxes, (3) less regulation, and (4) slowdown of money supply growth to control inflationInflationInflation is an economic concept that refers to increases in the price level of goods over a set period of time. The cause for inflation in the short and me. Ronald Reagan’s economic policies are based on supply-side economicsLaffer CurveThe Laffer Curve is a theoretical explanation of the relationship between the tax rates set by the government and the tax revenue collected by the same at, which is a macroeconomic theory that states economic growth can be created by reduced taxes and lower regulation. Reagan believed a tax cut like this would ultimately generate more revenue for the government. The idea is that consumers will benefit from cheaper goods and services and unemployment will decrease. Tax cutsTax ShieldA Tax Shield is an allowable deduction from taxable income that results in a reduction of taxes owed. The value of these shields depends on the effective tax rate for the corporation or individual. Common expenses that are deductible include depreciation, amortization, mortgage payments and interest expense will put more money in the consumer’s wallet, which they spend, and it will stimulate business growth and lead to more hiring. The end result is a larger tax base, and thus more revenue for the government. The policy is also called trickle-down economics as lower taxes on businesses and the wealthy will increase investments in the short term, and the benefits will trickle down to society as a whole. Reagan’s policies were a drastic change from his predecessors such as Presidents Johnson and Nixon, who both looked to increase the government’s role in the economy. On the other hand, President Reagan promised to reduce the government’s role and adopt a more laissez-faire approach. Government spending still grew but at a slower pace. Instead of funding domestic initiatives, Reaganomics focused on national defense as Reagan believed the US was exposed to a “Window of Vulnerability” to the Soviet Union and their nuclear weapons. The bulk of tax cuts would be aimed at the top income earners. Reagan cut top bracket income taxes from 70% to 28%, and he indexed each tax bracket for inflation. However, the tax cuts were offset elsewhere by increases in social security payroll taxes and excise taxes. Reagan also cut corporate taxes from 48% to 34%. Reagan eliminated the price controls on US oil and gas prices implemented by President Nixon. He also deregulated cable, long-distance telephone service, interstate bus service, and ocean shipping. A contractionary monetary policy was used to control inflation. In a contractionary policy, the central bank raises interest rates to make lending more expensive. Economists still argue the results of Reaganomics until this day. Naysayers call it “voodoo economics” and supporters call it “free-market economics.” However, from the early ‘80s to the late ‘90s, the Dow Jones Industrial AverageDow Jones Industrial Average (DJIA)The Dow Jones Industrial Average (DJIA), also commonly referred to as "the Dow Jones” or simply "the Dow", is one of the most popular and widely-recognized stock market indices rose fourteen times, and forty million jobs were added to the economy. Reaganomics did ignite one of the longest and strongest periods of economic growth in the US. The result of tax cuts depended on how fast the economy was growing at the time and how high taxes were before they are cut. Cutting taxes only increases government revenue up to a certain point. Once taxes get low enough, cutting taxes will decrease revenue instead. Tax cuts were effective during President Reagan’s time because the highest tax rate was 70%. The effect would’ve been much weaker if the tax rate was less than 50% like it is in the present time. The increase in interest rates initially pushed the economy into a recession as high interest rates caused demand for the US dollar to increase, thus increasing the value of the US currency. As the price of USD increased, exported goods became more expensive and imports increased. However, the economy did eventually become less volatile, and the economy entered into a period of strong growth.